Home > Hinduism > Hindu Gods > Supreme God > Why does God not assume an incarnation as soon as unrighteousness begins to grow? ‘The word avatar (incarnation) is derived from two words ava (अव) and tru (तृ). Descent from a higher status to a lower one itself is an incarnation. Thus when The Lord leaves His abode, Vaikunth and descends to the earth (bhulok) to accomplish His mission as given below, He is said to have assumed an incarnation. When The Supreme God assumes the physical form of an animal or a man and spends some period or the entire lifetime in that form, that physical form is called an incarnation. In the olden days people worshipped some human beings or animals considering them either divine or the manifestations of a deity. 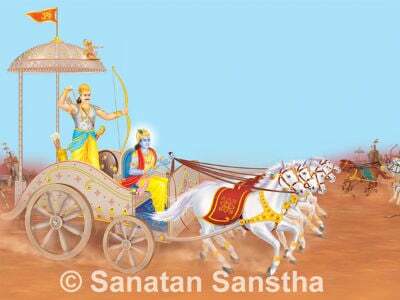 With the passage of time such meritorious animals or people were considered as incarnations of The Supreme God. For instance, Tibetans believe the Dalai Lama to be an incarnation of Avalokiteshvar. A specific and supernatural energy of a dead person exists in an animal; hence its ritualistic worship (puja) is important. This concept of the primitive man appears to have persisted in the concept of incarnation. The following verse (shloka) (10:41) from the Shrimadbhagvadgita complements this. Meaning: (O Arjun) realise that every object endowed with opulence, wealth or strength that you see has originated from a part of My radiance. In India (Bharat), the Purans elaborated this concept of incarnations. Its origin can be traced to Vedic literature. Several centuries before people were familiar with the concept of incarnation. Panini and Patanjali both have made a mention of the incarnation of Krushna in their writings. During the era of the Vedic Sanhitas it was customary to consider deities like Mitra, Varun, Agni, Indra, etc. as different forms of The Supreme God. However, contrary to this in the age when the concept of incarnation had developed, Supreme Beings like Rama, Krushna, etc. 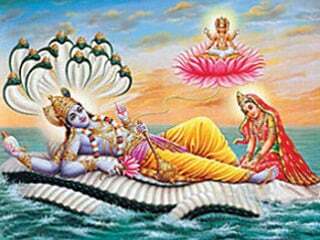 were considered as mere elements or incarnations of Lord Vishnu. The concept of incarnation existed in the primitive stage during the Vedic period and started developing in the period of the Brahman texts. However, when the Narayan sect was founded, vyuhavad (the philosophy of constellation of deities) came into the limelight and for sometime the concept of incarnation became feeble in its comparison. The reign of the Gupta dynasty was the period of upsurge of the Purans. During that period the concept of incarnation blossomed fully. It came to the forefront once again and obscured vyuhavad. In the concept of incarnation only one out of the four personages from the vyuha (constellation), that is Vasudev persisted. The other personages of the vyuha remained only as incarnations of the qualities of Lord Vishnu (gunavtar) or His partial incarnations (anshavtar). The philosophy of vyuha was based on Narayan whereas the concept of incarnation came into prominence with Vishnu. During the Vedic period, with the concept of incarnation Vishnu who was a second class deity rose to prominence and attained the status of The Supreme God. In the PuransVishnu’s position is considered to be supreme. In this way the original Bhagvat or Ekantik sect described in the parables of the Narayan sect later got converted into the Vaishnav sect. In vyuhavad only Narayan’s attributes responsible for creation of the universe were highlighted. In the concept of incarnation initially The Lord’s six divine qualities and His immense divine plays and later His incarnations like Rama and Krushna were glorified and worshipped more than Vishnu Himself. The principle of incarnation propagated through the Purans and other holy texts is a basic tenet of the Hindu religion of the middle ages and the recent times. The concept of incarnation first originated in the Vaishnav sect. After it gained popularity other sects like the Shaiva, Shakta, Ganapatya, etc. also adopted it. The Shiva Puran narrates how Lord Shiva assumed incarnations just like Lord Vishnu in order to protect saints and destroy evildoers. Incarnations of Shiva like Kalbhairav, Sharabh, Yadnyeshvar, Mahakal, Ekadash Rudra, Hanuman, Nartakanat, Avadhuteshvar, Vrushesh, etc. are described in the Shiva Puran. Sati, the first consort of Shiva and the daughter of Daksha reincarnated as Parvati, the daughter of King Himalay and became Shiva’s consort again. Parvati is called the Primal Energy (Adimaya or Adishakti). She too has assumed several incarnations in order to slay demons. The main deities have other deities as part of their retinue. They too assume human incarnations along with their master or to accomplish a special mission. Lord Ganesh has also assumed several incarnations as Ganesh, Vighnesh, Mayuresh, Siddhivinayak, etc. in the various yugs (eras) as mentioned in the Ganapatya Puran. Dattatreya is basically an incarnation of Shri Vishnu. But this incarnation too has assumed incarnations like Shripadshrivallabh, Nrusinhasarasvati, etc. according to the Datta lineage. The twelve Alvars from South India are considered the incarnations of Vishnu’s instruments. The Bhagvat sect from Maharashtra, in India considers Saint Dnyaneshvar as an incarnation of Lord Vishnu, Saint Namdev as an incarnation of Uddhav and Saint Tukaram as an incarnation of Saint Namdev. Mention of incarnations is noticed in all sects during the middle ages. Although Jains do not believe in incarnations they have modified the Hindu concept of incarnation and accepted it. Tirthankars are born as humans and attain divinity by undertaking austerities. 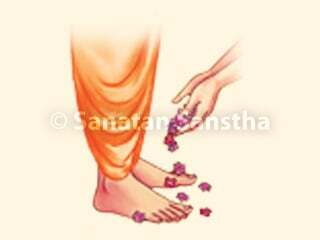 Tirthankar means the stepping stone (tirtha) for souls to cross the ocean of worldly life. 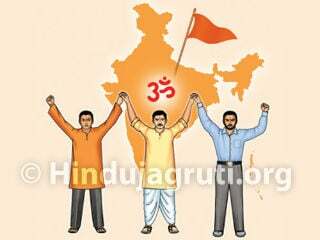 The Sanatan religion too considers upliftment of the world as the mission of incarnations. One form of The Supreme God always exists in His permanent abode and the other exists as the world (Hansavilas 47). Although The Supreme God is single He can manifest Himself in several forms. An incarnation is eternal and not illusory. All incarnations are physical forms of Absolute Truth, Absolute Consciousness and Bliss. Some incarnations have a human form while others only show some semblance to human beings (manushcheshta). Manushcheshta means carrying out missions like man, e.g. the Varaha (boar) incarnation of Lord Vishnu saved the earth from the demon Hiranyaksha. The body of an incarnation is also divine and possesses divine powers. Every incarnation has a specific divine mission to be accomplished by the body and a specific abode as well [e.g. Go region (Golok) of Lord Krushna]. What should be the general characteristics of an incarnation? : It should function according to the energy of the form in which it born, for example Vishnu in the Varaha incarnation saved the earth from the demon Hiranyaksha by raising it with His tusks. 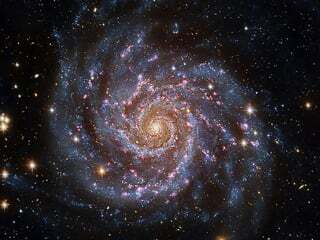 The principle, energy and ability of an incarnation depends on its mission. A. When the three components sattva, raja and tama were created they realised that there must be a creator. They undertook severe austerities to realise Him. This appeased God and He told them to ask for a boon. They responded saying, “Please accept us, otherwise people will consider us as the culprits.” Then The Lord who is actually beyond the three components (trigunatit) accepted them and assumed incarnations. Since then the three components came to be known as the ‘triguns’. In reality, due to The Lord’s acceptance they became unmanifest (nirgun), that is there was no difference between the manifest (sagun) and the unmanifest. B. With the passage of time as attitudes of man go on deteriorating, so will Dharmacharan">Righteousness (Dharma), that is the sattva predominant attitude will undergo dissolution and get transformed into the tama predominant attitude. In other words the tama predominant attitude means deterioration of Righteousness. Since the main objective of Dharmacharan">Righteousness is to prevent unhappiness arising from culmination of the tama component in the universe, at such times The Lord assumes an incarnation. Thus incarnations perform the mission of reinstatement of Righteousness which is disrupted from time to time. D. In the fourth adhyay (chapter) of the Shrimadbhagvadgita, Lord Shrikrushna has explained what incarnation The Lord assumes, when and why in the following two verses (shlokas). Meaning: Whenever there is a deterioration in Righteousness (Dharma), that is when there is an upsurge of unrighteousness I assume an incarnation. – 7. I incarnate in every yug (era) to protect sages, destroy evildoers and to reinstate Righteousness. – 8. 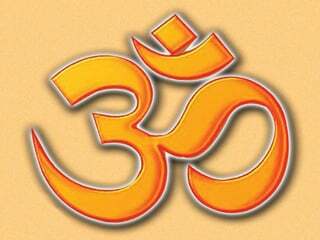 Implied meaning: Whenever there is a deterioration of Righteousness the Sanatan religion (Dharma) being divine in origin, that is a creation of The Lord Himself, plays a role in reinstating Righteousness. To accomplish that He assumes a manifest form. Righteousness teaches man the art of learning to live like a real human being. Vivekanand has defined education as ‘becoming human mentally’. Though physically one is a man, mentally one is still not. Due to this very awareness our ancestors used to live in their Guru’s hermitage for twelve years. Those who had mentally attained manhood used to follow the path of detachment whereas those lacking in it used to follow the path of materialism.These materialists could overcome their lacunae by rendering service unto those following the path of detachment. 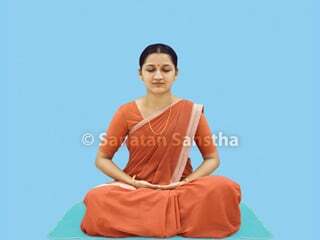 The Sanatan religion includes all the four classes (varnas). In Shankarbhashya (commentary on holy texts), Shri Shankaracharya has stated that Righteousness in a Kshatriya is dependent on that of a Brahman, that of a Vaishya on that of a Kshatriya and that of a Shudra on that of a Vaishya. Thus if Brahmans remain righteous then Kshatriyas too remain so. The state of the Vaishyas being dependent on Kshatriyas consequently the Shudras too remain righteous. 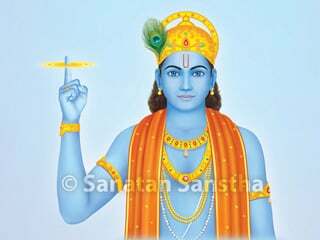 There are two types of radiances in the world – that of a Brahman (brahmatej) and that of a Kshatriya (kshatratej). These two radiances are directly complementary to each other. Only if these two act cohesively then universal peace is assured. So in other words deterioration of Righteousness means disintegration of the structure of the four classes. Once deterioration of Righteousness occurs there is dissolution of the relationship between those following the path of Spirituality whilst leading a worldly life and those who are on the path of detachment. This means that if worldly persons shirk their responsibility of taking care of the worldly needs of ascetics then it poses as an obstacle for ascetics undertaking austerities. They being devotees of The Lord, He assumes an incarnation to protect them. If one makes a careful analysis of incarnations one will realise that reinstatement of Righteousness is the principal mission of an incarnation. Protection of ascetics (sadhus) appears to be merely a by-product. When this process reaches the zenith, worldly people become cruel and begin harassing seekers. Thereafter destruction of evildoers to protect them becomes a mission of the incarnation. Dr. Jayant Athavale: There is a saying that ‘A stitch in time saves nine’. According to this norm why does God not assume an incarnation as soon as unrighteousness begins to grow on the earth ? Why does He wait till there is chaos ? Baba (H.H. Bhaktaraj Maharaj): Though dust gathers in the house throughout the day one does not dust the house time and again but sweeps it off only once in a day. God’s mission too is akin to this. The ones that incarnations like Rama, Krushna, etc. annihilated were the enemies of Righteousness (and righteous people); however nowadays no one is absolutely pure and holy. Each one is impure to sb vome extent. Consequently if incarnations decide to destroy the evil all over then no one will survive; hence (God) incarnations have to manifest to purify the intellect of man. G. Rama abandoned Sita even when a mediocre washerman (rajak) expressed doubts about Her chastity; however despite Karna’s derogatory remarks towards Droupadi the Pandavs did not abandon her. The reason behind the difference in behaviour is the divine play of the incarnations which is conducive to the future missions that the incarnations have to perform and sometimes it is in accordance with wishes of Their devotees. I. For devotees to obtain a form for the Name that they chant, for instance Rama, Krushna. L. Performing austerities at various places to bestow a thousand crore souls with birth as human beings, liberating them from the species of aquatic animals, viviparous animals, birds, etc. M. Generation of science to improve the quality of life for this new downtrodden population which will arise from imparting human births to various species, as it will be under the influence of the Kali period. N. Making other saints assume incarnations along with Himself so as to generate the righteous attitude among the people. O. Upliftment of those souls of the lowermost cadre who even the saints cannot redeem. P. Conserving energy in various places for future missions.
. Bharatiya Sanskrutikosh. Second edition: Vol. 1, Page 286-292. 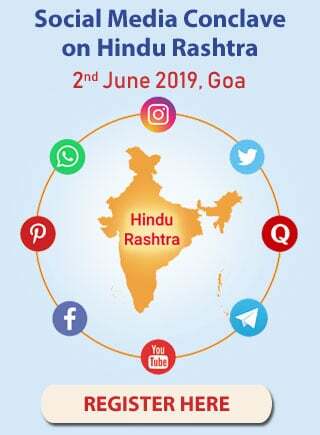 Publisher: Pandit Mahadevshastri Joshi, Secretary, Bharatiya Sanskrutikosh Mandal, 410 Shanivar Peth, Pune 411 030.
. Siddharudh Vaibhav, Pg. 12, by (H.H. Ai) Kalavati Ai. Akshay Trutiya – 1984. Publisher: Shri Harimandir Publishing Sanstha, Belgaon and Thane. Shri Satyasaibaba, Page 29, Sudhakar R. Samant, Pingej Charitable Trust, 152 Shivaji Park, Mumbai 400 028.
. Brahmibhut Shrimatparamhansa H.H. Vasudevanand Sarasvati (Tembe) Swaminche Charitra. Author: Shrimant Rajmanya Rajbandhu Gandabuvabrahmachari. Publisher: Mrs. Supriya S. Marathe, Navachaitanya Publications, Lelevada, Ramamandir road, Bhaindar, District Thane.
. Shri Gagangiri Maharaj Ahet Tari Kon? First edition, Dattajayanti 26-12-1985. Publisher: Gagangiri Publications. H.H. Swami Gagangiri Yogashram, P. O. Khopoli, Taluka Khalapur, District Raygad. A sublime commentary on the Shrīmadbhagwadgītā by Saint Dnyānēshwar.